Are you sick of winter yet? I am. My husband and I were actually talking about moving south. Of course some July, when we’re sweltering, we’ll be glad we stayed in New Hampshire. It’s been quite a busy week. Wrapping up first round edits for an upcoming Soul Mate Publishing release, getting another Soul Mate release ready for first round edits and playing with a new cover for my next self-published release. Last week I introduced it as Ride Away Home but I wasn’t content with that title, so I renamed it. I’m proud to present my cover! Here’s another six sentences from Sweet and Wild. Our heroine, Quinn Emery has just found her young neighbor, Marisol, out on the prairie after the girl got lost. Marisol’s father, Craig, has told Marisol she has to take riding lessons. Marisol wants them from Quinn. Craig, who last saw Quinn years ago, when she wasn’t much older than his daughter, is seeing adult Quinn in a whole new light. His daughter had found a new hero, he thought as he studied Quinn, walking under the glowing sun. She’d taken her hat off and her dark chestnut hair glowed in the simmering sunshine. She had a small, neat, but definitely feminine figure, clothed in a pale green fitted blouse with sleeves rolled up to the elbows, displaying a golden tan. Faded blue jeans hugged the gentle curve of her hips. Damn. She’d gone and turned into a woman. 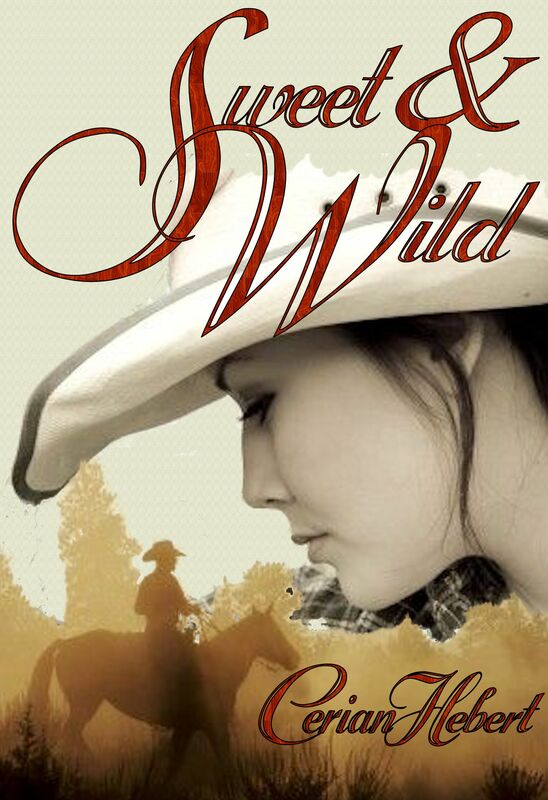 I’m hoping that Sweet and Wild will be available on Amazon by the end of the month. In the meantime, enjoy the six. And make sure you get over to Six Sentence Sunday for more awesome sentences! That’s always such a shocker — getting curves. LOL Nice six. Oops, I think I’ll have to fix this. Quinn isn’t his daughter-she’s his daughter’s new hero. Quinn is the kid sister of an old friend who he hasn’t seen in over 10 years.